As such, the shorthand that I’ve been using this past year to describe kung fu’s origins—“Martial arts probably spread from India to China in the 5th-6th C with Buddhism as its vehicle”—is simplistic. The other reason I should have expected to hear so much philosophy is related to my trip: a seven-month journey from South India to North China. For many people I meet along the way, it’s difficult for them to visualise exactly how this book will pan out—“Is it about India? China? Martial arts? Mutton biryani?” Nevertheless, whatever the book is finally about, everybody assumes that there must be a fair amount of self-discovery and soul-searching implicit in such a journey. Hence, many feel the need to share life lessons with a very receptive me. Finally, one last reason why philosophy bubbles to the surface of almost every palaver, is that Indian society today is in flux. Many people I’ve spoken to are skeptical about the impact globalisation and capitalism are having on Indian traditions and culture. Even as they appreciate the conveniences their cellphones and cars confer, they worry about material aspirations supplanting spiritual ones. Even as they welcome imports, they worry about Western ideas of progress and enlightenment supplanting Indian ones. And Western films about India doing better than Indian ones. Therefore, although I didn’t think about it much two months ago, Chinese and Indian philosophies—origins and modern interpretations—will certainly be one central tenet of the book. This is mostly new ground for me. I am dumb, being less aware of the teachings of the Buddha than of the Bono. Thus, dear reader, in this on-the-road blog post, more than others, I ask for a bit more of your patience with facts and my naivete, as I describe a few philosophies I have encountered. Auroville polarises. Depending on who you speak with, impressions of the forty-year old hamlet, just outside Pondicherry (Pondy), the former French colony in Tamil Nadu, can range from the sacred to the profane. Founders and fans consider it is one of humanity’s most noble attempts at building an inclusive, tolerant utopia. Critics complain that it has become a highly exclusive club that is not only tolerant, but perhaps too tolerant—even of pedophilia. 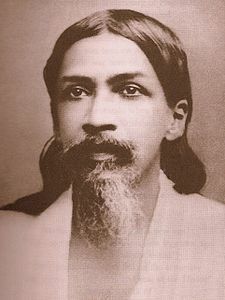 In the Indian consciousness, Sri Aurobindo seems to inhabit an orbit clearly above other internationally-renowned gurus, such as Osho and Maharishi Mahesh Yogi (sage to The Beatles), but well below the country’s philosophical giants, including Tagore and Vivekananda. Kirit says that while he learned a bit about Sri Aurobindo in school in Jaipur, some fifteen odd years ago, children today no longer do. 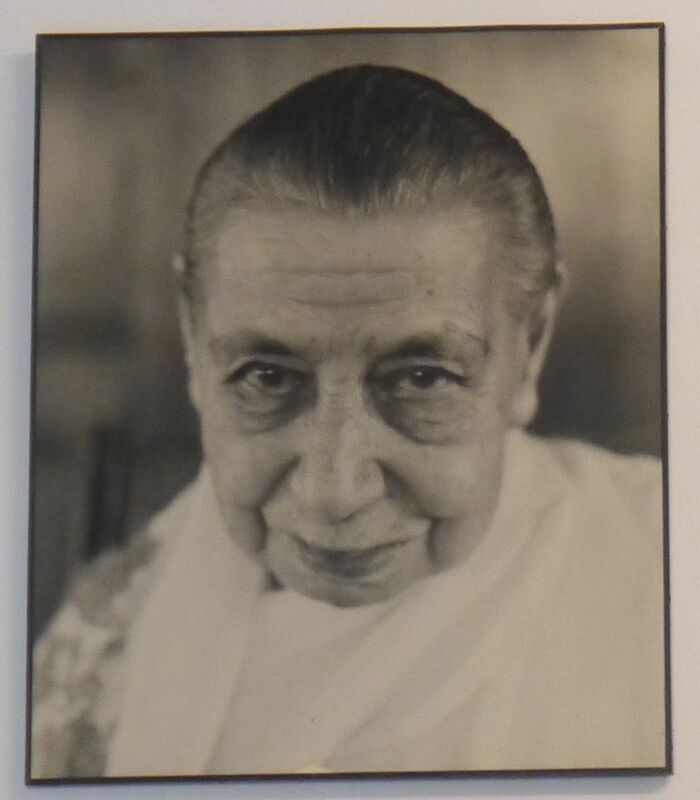 Auroville itself was conceptualised after Sri Aurobindo’s death by his long-time French companion, Mirra Alfassa, more commonly known simply as “The Mother” (pictured). You will see her photograph all over Pondicherry and Auroville; in shops, in homes, as the background in concert halls. Auroville isn’t on my original travel itinerary. I had wanted to come to Chennai in Tamil Nadu to research silambam, the Tamil martial arts, which Tamilians claim is the actual form that was exported to Shaolin all those centuries ago—rather than Kerala’s kalarippayattu (see Letter from India: Kalarippayattu). This is probably a symptom of broader Kerala-Tamil cultural and historical disputes, which I won’t get into now, aside from saying, at the risk of excommunication by my paternal relatives, that Kirit and I prefer the Tamilian biryani (For a full gastronomic aside, see Random post from India: Battle of the Biryanis). But then it emerges that one of the world’s foremost silambam practitioners—Jodhi Sendhil Kannan—is not from Chennai but Pondy, three hours away. I e-mail Jodhi, who happens to be in Singapore, where his British wife lives, and he tells me that he’ll make arrangements for me to visit his school in Pondy. Finally, when she finds out on FB that I will be visiting Pondy, Sangeetha Madhavan, a friend in Singapore, introduces me to Supriya Menon, her close friend and long-time “Aurovillian”. And that is how Kirit and I find ourselves standing inside the Auroville Bakery at 10am on a Thursday morning. The fresh croissants and giant cookies would not be out of place in San Francisco, but I hold off. By this point, I am experiencing some cultural dissonance. We have left the relative chaos of Pondy, twenty minutes downhill, for this breezy, verdant, slightly bizarre, seemingly white- and hippie-filled giant commune. Is everybody here “spiritual, but not religious”? Are we even still in India? When Supriya first pulls up on her motorbike, I do a double-take: for a very long moment, I wonder if I am staring at Storm, Halle Berry’s character in The X-Men. Supriya asks Kirit and I to follow her on our own bike, and she leads us on a five-minute ride through some dirt tracks, flanked by bougainvillea-bloomed fences, to her house. I marvel at her bleached hair, and take comfort in the fact that we’ll never lose sight of her. Within five minutes of reaching her large but simple home, we are sitting on her dining table, chatting away, completely at ease,with several of her delightful, playful modernist pottery sculptures staring at us. After attending college in Bangalore, Supriya moved to Pondy—and eventually Auroville—in the 1990s in a bid to immerse herself in art. She eventually became a potter. Kirit and I are there on the eve of her departure for a five-week collaborative pottery workshop with Koreans in Busan, South Korea. As part of her last-minute packing, she is scurrying around for Indian tea, not wanting to take any chances with the East Asian varietals, and for spices, with which to cook for her hosts. 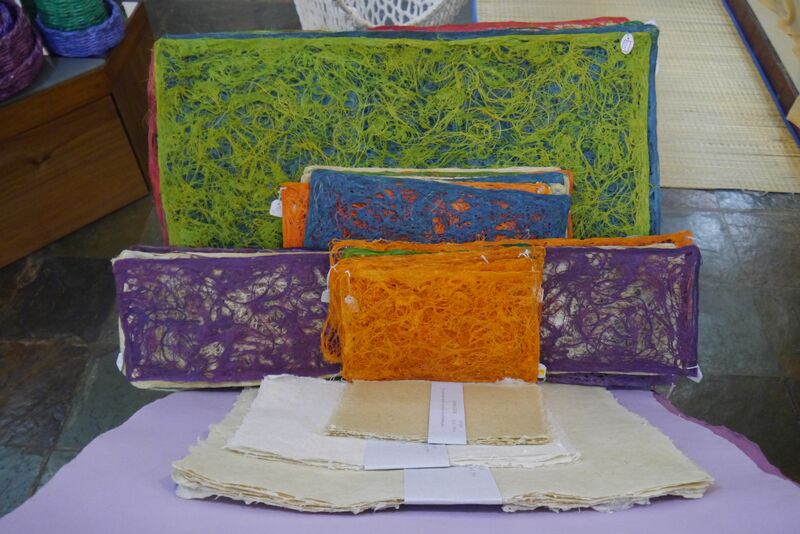 As gifts, Supriya is also keen to pick out some Aurovillian handicrafts–the produce of this artistan community is quite impressive (paper products, including several kinds of paper made with banana leaf, and papyrus, pictured). There are many other fascinating attributes of Supriya Menon, including the agility with which she operates her foot-powered pottery machine, all four limbs working in synch; or the fact that her favourite tequila is not from Mexico but Goa, made with love by her friend, Desmond-ji (“It’s 51% agave”), and available in all good liquor stores in Pondy; or that I discover a kindred spirit in her Italian husband Giorgio, a fellow adventurer, who, among other things, has driven from Europe to India; and cycled from Pakistan to China. But for now I will focus on certain characteristics that allow me to explore two very Aurovillian philosophies, “Universality: The oneness of humanity” and “Asceticism: Shunning material objects”. Sri Aurobindo wasn’t the first guru to preach universality but it seems to be a relatively more central part of his dogma. 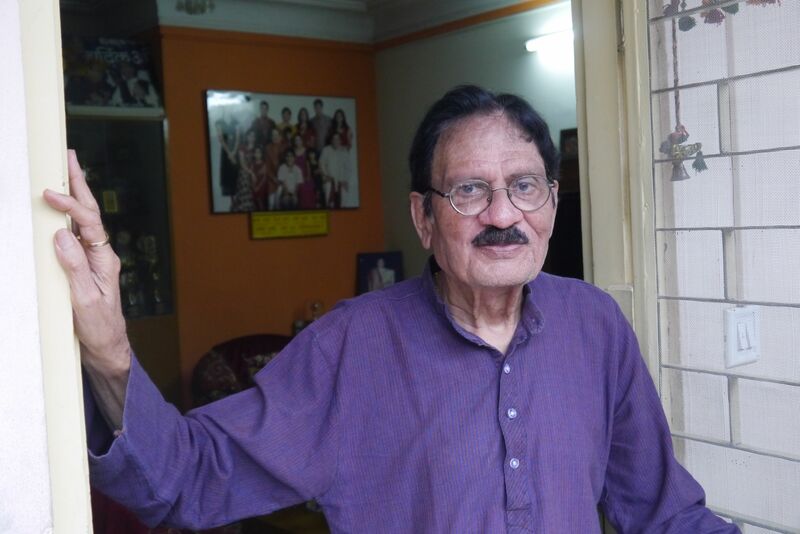 Every follower of Sri Aurobindo I meet in Pondy—from Anil Sharma, an antique furniture dealer to Lalit Varma, a photographer and artistic director who delights in cross-cultural collaborations—stresses universality in our conversations. This openness and acceptance of all people blooms beautifully in Supriya’s two daughters (all three pictured). Within minutes of meeting Gouri, 15, and Sama Asia, 9, Kirit and I are having deep conversations with them. While Gouri is slightly more self-conscious, being a teenager, Sama Asia is precocious. Having early on declared her interest in photography, she is soon taking a variety of shots with Kirit’s digital SLR. I have never before met a child who can so quickly launch into dialogue with strangers, alternating comfortably between the serious and the irreverent—she sneers in a heard-that-one-before way when I suggest that she is of the same stock as Rahul Gandhi. 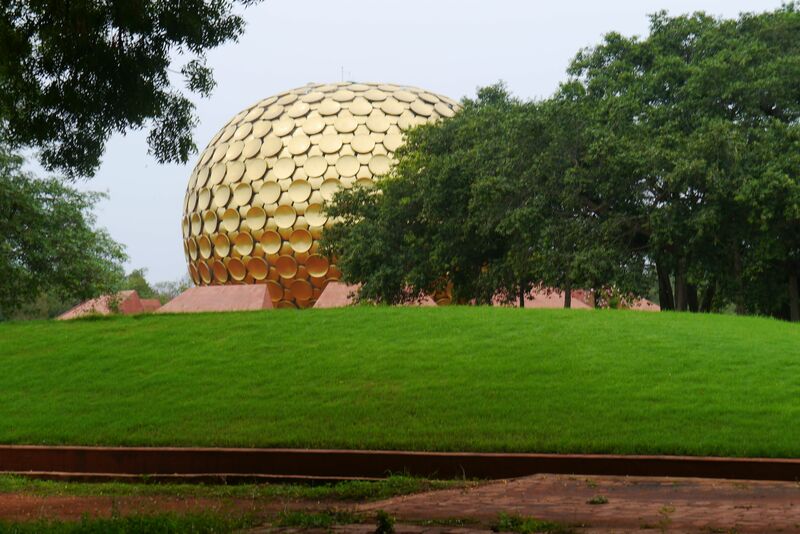 Like any other place, there are pros and cons of living in Auroville, says Supriya. But for her the best part is the enriching, open, tolerant environment her children have grown up in. The kids can’t get enough. We are there the last week of school holidays, and Sama Asia is filled with expectation about the week ahead; the holidays have bored her. Whenever she is up to some mischief, Supriya tells Sama Asia “Don’t do that or I won’t take you to school,” and she stops immediately. WTF?! Though it is tempting to celebrate universality in Auroville, it is almost just as easy to portray the community as highly exclusive. It is not easy for anybody at all to simply become an Aurovillian; property rights are not freely traded and it seems like one has to pass several “coolness” tests, official and unofficial, before being accepted into the community. The architectural centrepiece and triumph of the town is the Matrimandir (pictured), a glittering golden globe that contains an inner sanctum for meditation. Again, while Aurovillians can stroll in anytime, outsiders have to apply for a queue number the day before. Supriya kindly takes Kirit and I in for a fifteen-minute session; this might sound like a wooly hippie from Berkeley talking, but it is one of the most spiritual experiences of my life. I have never before heard such silence. But what really offends one’s “insider-outsider” sensibilities is the little enclave that Aurovillians have built for themselves on Repos beach (pictured). Inside the barbed-wire compound, I see one white lady eating at the ironically-named “Community kitchen”. Outside, hundreds of Tamilians are playing on the beach, occasionally peeking into the Aurovillian compound into which they cannot enter. No matter how noble the intentions, something always grates when I see foreigners in a walled-off community in a developing country. But the tables are turning. Imagine in fifteen years that the Chinese have bought so many wine estates in Bordeaux that thirsty Frenchmen are left slumped on their wooden fences, peering in as the new owners mix fifty-year old vintages with Coca-Cola. Moreover, every Aurovillian will contend that their hamlet is a work-in-progress that will take many decades, if not centuries, to achieve some sort of stable social equilibrium. By that point, it might just seem like everywhere else. Meanwhile, the tension between asceticism and material gain seems to be as old as India itself; India’s economic success of the past decade has intensified the conflict in Auroville. Though there seems to be some disagreement today about the moral place of material wealth in Auroville, when the hamlet was first started forty years ago, it certainly seemed like many of the founding settlers owned little more than the shirts off their backs. Meanwhile, inside their museum, one of the first posters I see is this one. I am not entirely sure how this squares with the motto on the above poster. Supriya is well aware of the seeming contradiction in living a life free of the trappings of modern, urban society, but then also wanting to selectively tap into certain comforts and forms of entertainment. The centrepiece of her living room, like in so many other middle-class habitats, is the widescreen TV and video system. “I love Game of Thrones,” she admits, “we get copies on a USB drive.” Meanwhile, one thorny issue for her at this moment is how to build her pottery-related Facebook profile, in particular differentiate herself from the one million other Supriya Menons on FB. 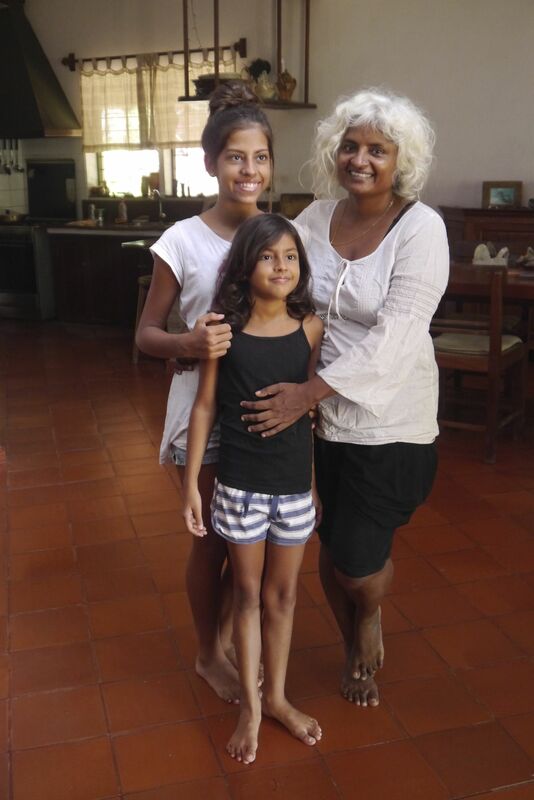 And for all her artistic dreams and other life actualisations associated with twenty years in Auroville, Supriya still worries a fair bit about money. Despite living in a doubled-storeyed house with a big garden, life is by no means cushy. In particular, Giorgio, who works as a dental assistant in Pondy, and her still have some way to go before their children’s university fund is topped up. “In twenty years here I have not made one rupee,” she says, in what I suppose can only be a rare lapse into Indian exaggeration. Still, as Aurovillians, Giorgio and Supriya have been unable to grow their wealth the same way much of the world’s middle-class has: property appreciation. According to Supriya, any property gains—from new incoming residents paying current market rates for plots—goes to the Aurovillian communal fund that pays for, among other things, social services, including Sama Asia’s free, addictive education. So, does living in Auroville wean one off material pursuits? Difficult, maybe, as long as there are portals to the outside world. Gouri, who used to be passionate about photography but is now into nail art, can’t wait to visit the bright lights and big cities of the US, perhaps even study there. I wonder if she’ll come back. Indore has become an Indian city that I could live in. It is now big enough that it has everything a spoiled Singaporean like me might want, including fast Internet, cinemas with 3D screens and plenty of restaurants, “veg and non-veg”, where I eat with gluttonous abandon, never once worrying about hygiene. Yet it retains its small-town charm: traffic is never too bad, people are not in a hurry, and it somehow feels like there are, at most, only two degrees of separation between all its inhabitants. That is borne out in how I come to meet Dr K.S. Rawat, one of the world’s authorities on reincarnation. 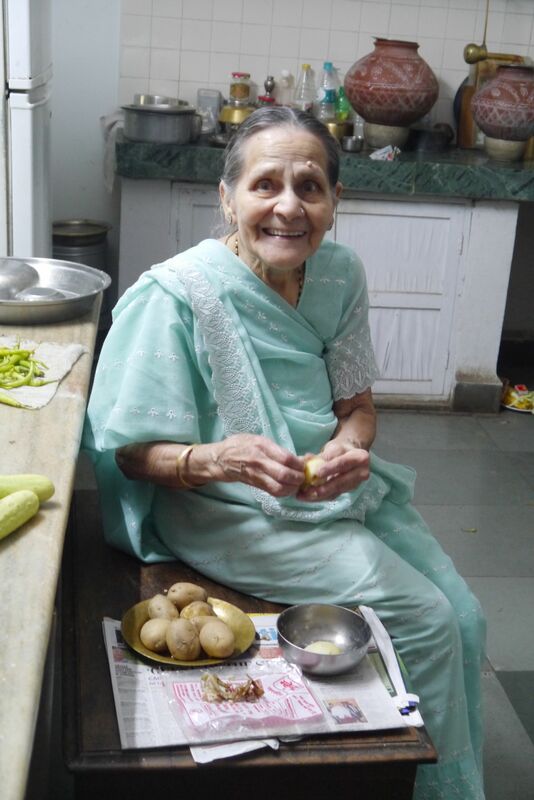 I am actually in Indore to see my dear Nani (pictured), my mum’s mum and my only grandparent still around. She is, as always, pleasantly surprised: whenever I come to Indore, I never ever tell her ahead of time. I just show up on her doorstep; she seems to appreciate the old-worldly dropping in out of the blue. Despite us being on somewhat different cultural wavelengths—she is a India-born Hindi-speaking Hindu vegetarian; I am a Singapore-born English-speaking Christian carnivore—we have always gotten along famously. Interviewing her for the very first time, I am reminded that her English is actually pretty good. “I learned to speak for my grandchildren,” she claims. Of her eight grandchildren, only three live in India, so I take this as fact, not a typical attempt to butter up her oldest grandson, as she stuffs me full of sugary jalebi (pictured). Dr Rawat is married to a cousin of my mother’s nephew’s granduncle’s paternal father’s fifth cousin (or something like that). I bump into him at a wedding reception that Nani instructs me to crash—apparently I’m related to the groom, and about fifty other people there—and after quickly exchanging research notes, I ask for an interview the next day. “I have spent most of my life researching rebirth,” Dr Rawat tells me at the reception. Two things in this sentence attract me. First, I have become increasingly interested in karma and reincarnation while in India, partly because everybody talks about it, either directly or indirectly, with remarks like “Maybe he got what he deserved” or “It is your karma.” Second, since watching Jiro Dreams of Sushi, arguably the best documentary ever, I have become more taken by people who dedicate their lives towards one specific craft or pursuit, striving for perfection while knowing they can never attain it, to paraphrase Mr Jiro. Although his father had hoped for Dr Rawat to become a medical doctor—can’t imagine any parent explicitly recommending “Rebirth expert”—he applied his father’s advice to the study of reincarnation. In other words, from the day he decided to immerse himself in the topic, Dr Rawat has had a single-minded focus to apply modern, rigorous scientific standards of evidence-based research to the study of reincarnation. In a world full of faith-based evangelists, I find this refreshing. Over the years, he has documented thousands of instances of reincarnation, including some 50 where a child was born with the exact same physical characteristic, such as a birth mark or scar, as his/her immediate predecessor. Dr Rawat is also the last person to have interviewed Shanti Devi, perhaps India’s most famous reincarnation case. As a little girl in 1930s Delhi, her remembrances attracted the attention of Mahatma Gandhi, who set up a commission to investigate her case. The commission concluded that she was, indeed, the reincarnation of Lugdi Devi, who lived 145km away in Mathura. Dr Rawat spoke to her twice, first in 1986, along with Ian Stevenson, a Canadian psychiatrist and fellow reincarnation expert, and then in 1987, just four days before her death. Dr Rawat is constantly littering his speech with phrases like “empirical evidence” and “scientific methods”. Honed by years of media interviews, he answers questions in a professorial manner, with sufficient caveats to bulletproof his argument. When I ask him why only some people have recollections of their previous life, he begins by saying, “This is speculation, and should not be taken as fact.” Apparently the vast majority of people with recollections are the spiritual descendents of people who died prematurely, for instance in an accident. “But this is not the final answer,” he reiterates. A bigger picture reason for my interest in karma and reincarnation is that I wonder how it affects each individual’s view of others and life; and collectively, how it might affect the way one business, society or government interacts with another. 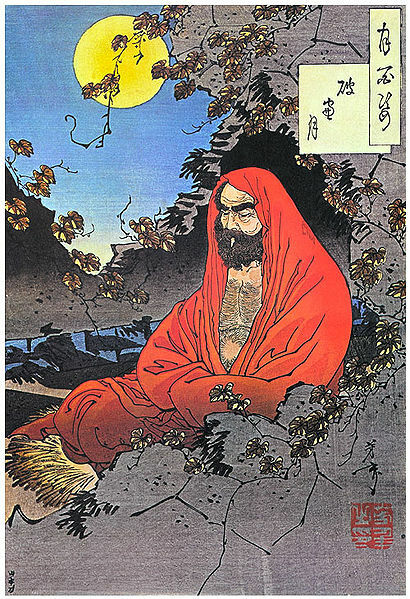 Those who subscribe to karma and rebirth believe, among other things, that every action is somehow the result of a past deed, good or bad, either from yourself or one of your spiritual ancestors. By contrast, people who do not believe in it will probably place much more emphasis in the power of immediate, individual agency in determining the future. “So in your next life will you continue your research into reincarnation?” I ask Dr Rawat, as the interview winds down. And that is that. I certainly hope we get to meet again—in this life, and the next. 2Again, I am treading on new and delicate intellectual ground here, I am sure somebody has written about all this in a much more lucid way, looking forward to doing additional research. Do send me any references you have, thanks! I do not want to spend too long on cultural determinism, first because it’s always tricky, and second because being immersed in India I can’t really be as objective as necessary, but let me share a paragraph I came across while doing some research. Do note that the RSS is one of the most nationalist, occasionally militant Hindu organisations in India. 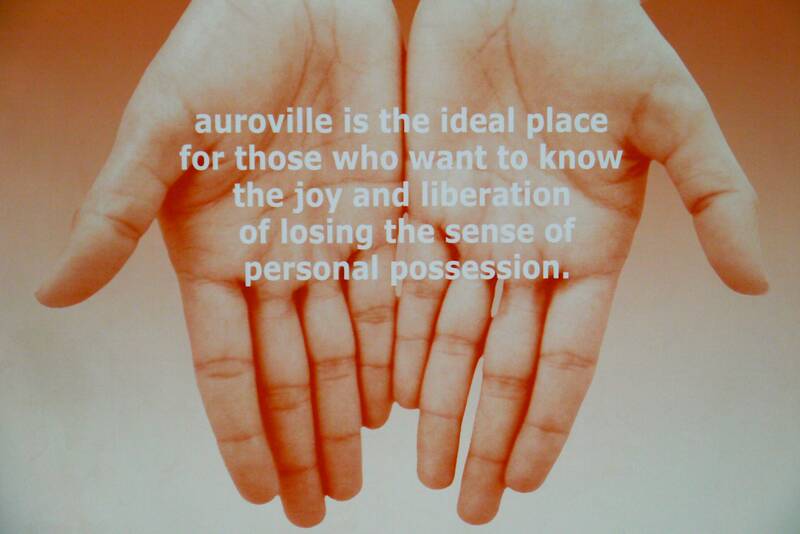 The more I find out about Auroville, the more it intrigues me. The world has witnessed many attempts at constructing utopia by combining innovative urban design with libertarian social norms, from the real, such as Rajneeshpuram in Oregon, named after Bhagwan Shree Rajneesh aka Osho, to the fictional, such as Alex Garland’s The Beach, later made into a film of the same name. When these experiments persist, despite all sorts of economic, social and political forces that might undermine them, they should be applauded, not necessarily because they provide an exact blueprint for social and urban development, but because of the values they espouse, which often seem adaptable, and in some way beneficial, to every individual unique’s situation. But it is also very close to my heart because while at Berkeley I won a Geography field scholarship to study The Burning Man in 2002, the first time, in the words of a good friend, that I “got other people to pay for my crazy trips.” Of which From Kerala to Shaolin is the latest. Being in Auroville, in other words, is reminding me of the many things in life I must be grateful for. The other bias I have, of course, is around food. Supriya takes Kirit and I to the Solar Kitchen, where we have one of the most mind-blowing vegetarian meals of the trip (pictured–the brown bread is thosai made with a special kind of grain, the name of which I forget). This being Auroville, it bears mention that by “mind-blowing” I am referring only to legal, fresh, organic produce, almost all grown locally. 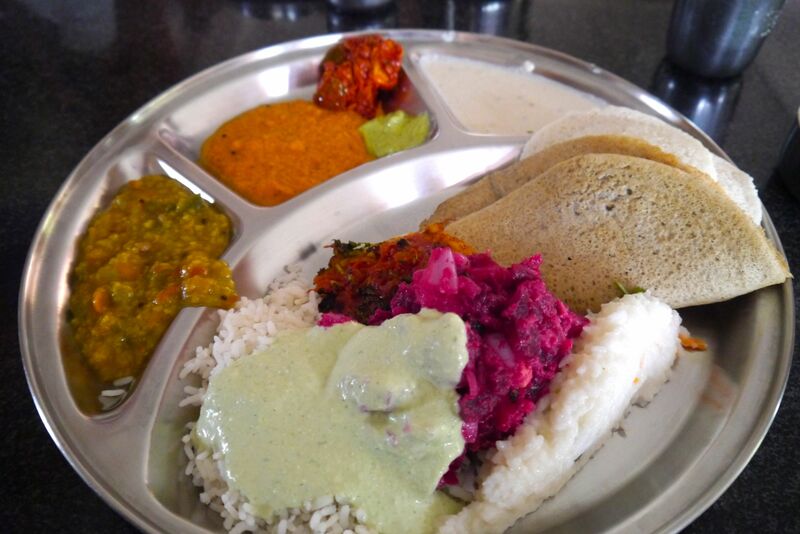 In India you might hear a carnivore’s omnivore, like myself, conceding that vegetarianism is possible if only the food is always this good—well, coming second only to my Nani’s Kitchen in Indore is the Solar Kitchen in Auroville. Yum. 3For sure, there are also several critiques one can level at The Burning Man, including exclusivity—“a party for rich Whites in the dessert” is something I heard in 2002, though it has since become a lot more diverse ethnically, if not socially. On the other hand, many mistake Indian Philosophy for Hindu (Sanatana Dharma!) Philosophy. Well said Don Tomassi or rather Shifu Tom. Given my proclivity for gastronomical adventures I am all in for “mind blowing” whatever…. You might be interested to review this! What a fascinating post. Thanks for schooling me on indian philosophy- I’m dying to visit Auroville! Thanks. 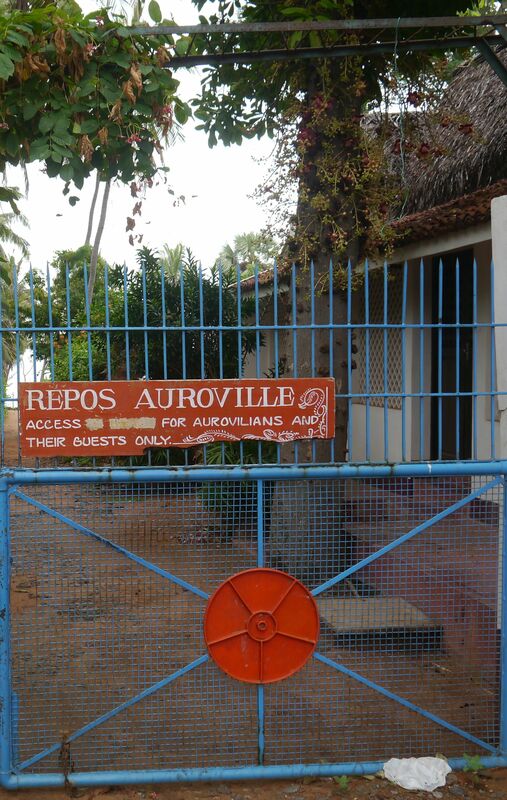 Auroville is fun, though a much better experience if you know an Aurovillian…see if you have any connections.